Welcome to part two of my three part festival collaboration with Urban Outfitters! I think this is my favourite of the three outfits, simply because it's the most 'me'. And by that I mean pretty basic and predominantly black. 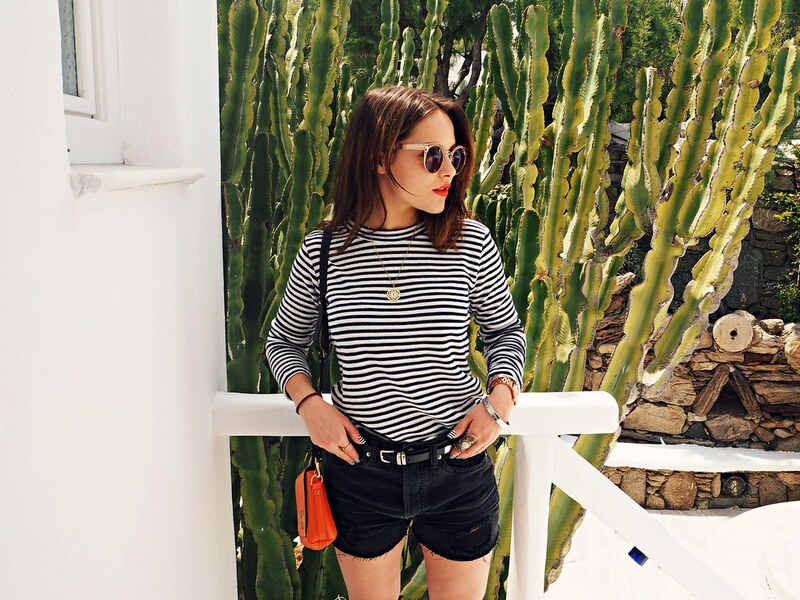 This striped top has actually turned out to be one of my favourite wardrobe additions this year - big claim - and I'll tell you why. Every time I wear a polo neck I get mild claustrophobia and wonder WHY, why do you need to be quite so tight and hot on my neck; this badboy's low-cut as well as nice and loose meaning my neck is free to roam (#freethenecks - let's make this a thing people, our necks deserve justice). It's also made of the nicest knitted material which gives it a good shape, plus I do love a good texture mix. Yeah, yeah, get a room. Well maybe we will. Added in again are these trusty gold tipped cowboy boots and some sunglasses from one of my favourites, Quay. NOW, onto the exciting part. Urban Outfitters are running competitions all summer long to win tickets to a whole host of festivals - this week it's VIP tickets to The Way Out West in Sweden as well as afterparty guestlist (amazing, ja?). Step right this way to enter! Cool festival outfit! Love the boots and the sunnies! haha I don't feel the same way about crew necks but I get really fidgety with turtlenecks. That prize sounds amazing by the way! 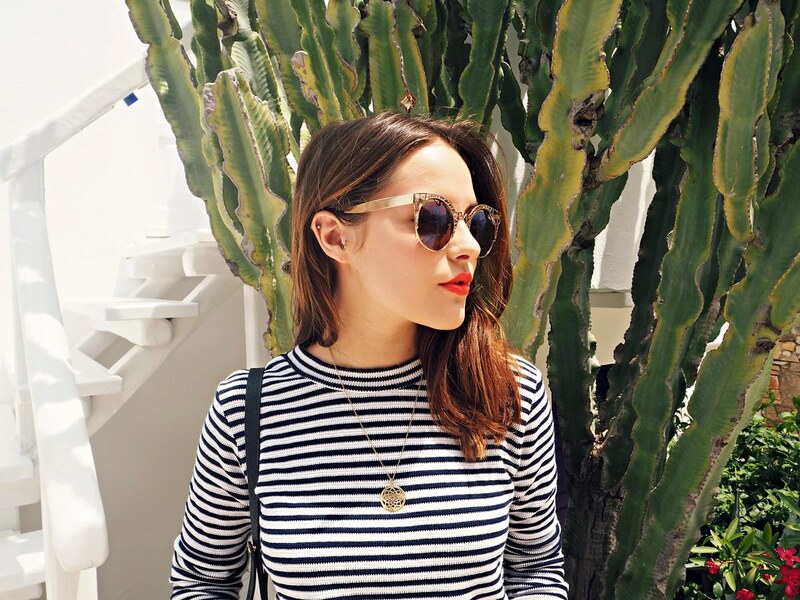 Loving the striped top and red lipstick! love this look so much, you look amazing! Looove this outfit Amy! 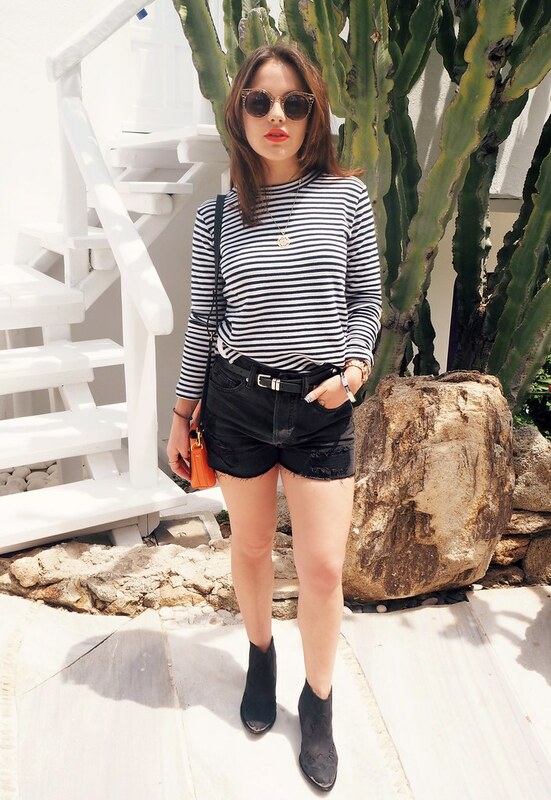 Those shorts combined with stripey the top will probably be my go to outfit! Love everything about this look! Your sunglasses are the bomb! Amazing outfit! 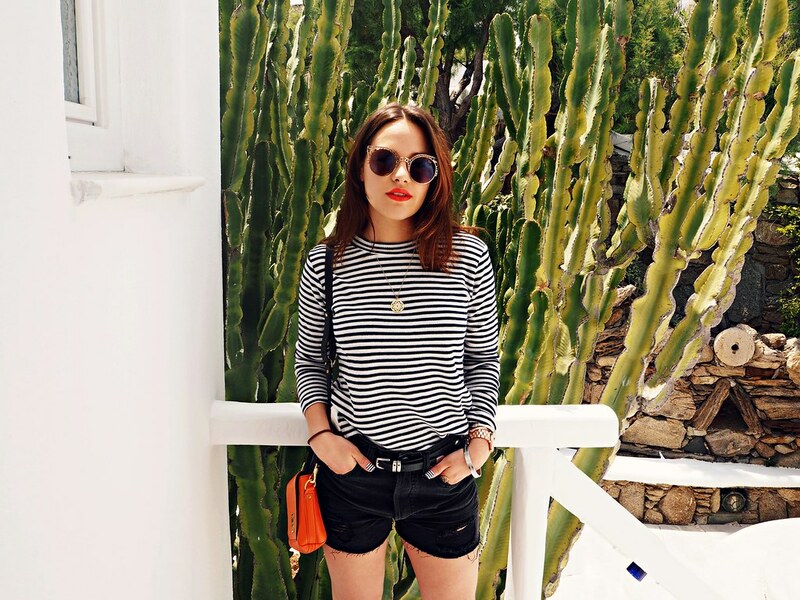 The striped top looks fantastic with the shorts, and I'm obsessed with your sunglasses! Super cool photos, I love your sunnies. This is such a pretty everyday outfit or a causal festival outfit. I love the striped top and boots. Everything compliments each other and the pop of colour pulls the outfit together. I'm a sucker for black & white striped tops! This look is right up my alley! Love the bright orange bag as well. I purchased a bright orange cross-body from Zara last year (it was kind of impulse buy) but it really comes in hand when you're wearing a a monochrome outfit and want to add a little extra something! I love everything about this look. You look like Ingrid Nilsen in these photos! 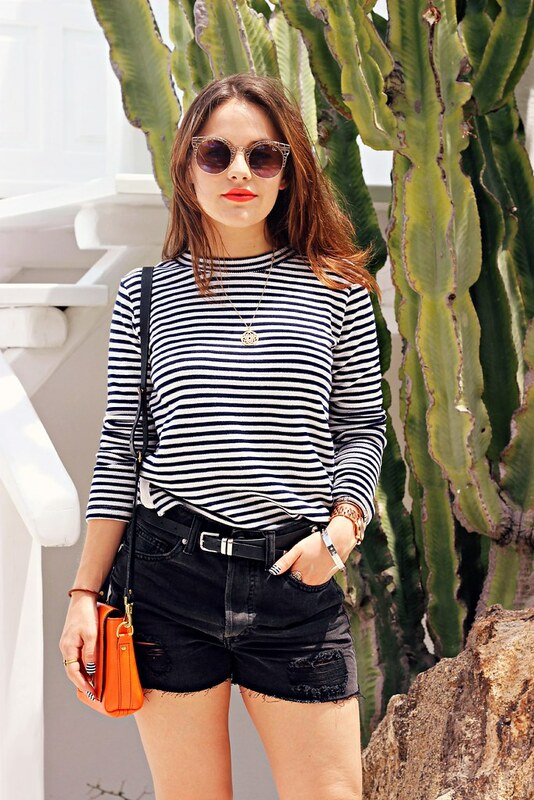 That stripey tee is PERF! Such a cute, casual look.